How lovely to wake up and see your muhly grass this morning. I have been enjoying my own stands of it that have been started thanks to you and I’m looking for more areas of expansion for it. 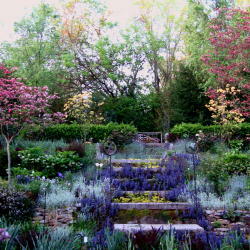 Your garden is delightful, even though very different from the old one. I’m so glad you have both old friends from the old garden and new ones in this garden with which to share the delights of fall days. Happy fall, Frances, and a lovely winter, too. Hi Barbara, your sweet comments always make me happy. Thank you for being a loyal reader. The muhly takes up a lot of room and is nondescript much of the season, but the fall explosion is the pay back. This cluster is about 15-16 plants that were divided from one pot brought from the old house, planted quite close together. Massing gives the best effect, where they can catch the setting sun. Happy fall to you! Frances, your garden is so nice. I don’t see those houses, electrical boxes etc when I look at it. Who would when there are so many interesting plants to see. I always look forward to seeing your pink muhly grass blooming. It is spectacular this time of year. 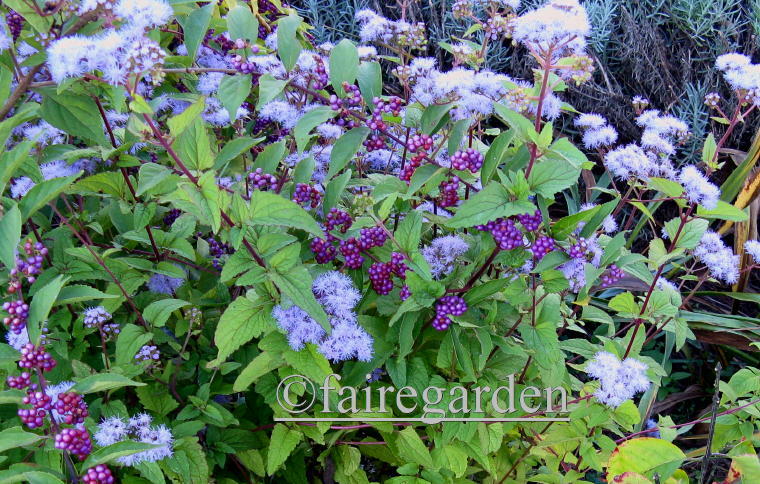 You have given me a new idea, to plant ageratum with my beauty berry. That is a great look. I have planted bulbs that were supposed to be the red Lycoris but ended up blooming pink. Bah humbug. Happy Fall. 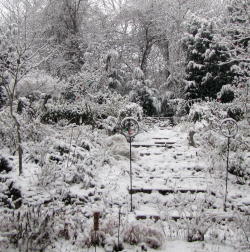 P. S. Can a person really have too much ‘stuff’ in their garden?? I don’t think so. It just has to find the right space to settle into. Hi Lisa, thank you for your continuing support! I do so appreciate you. 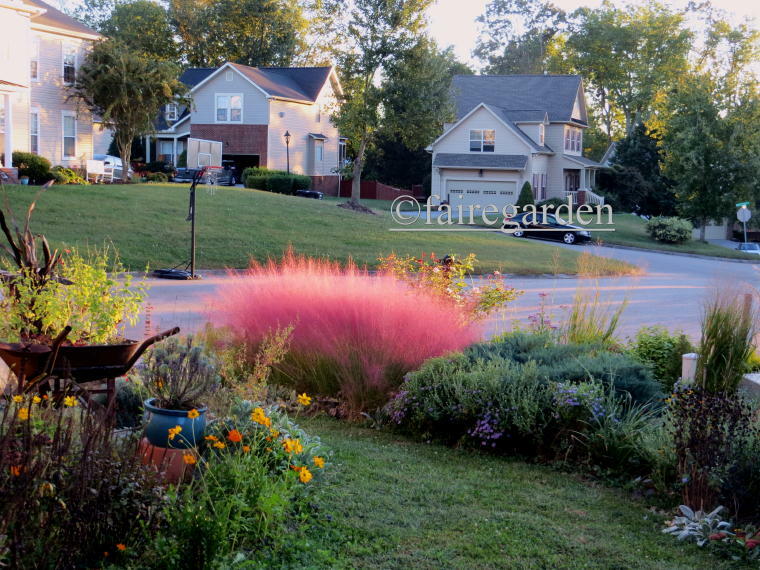 Just about the time I feel like the garden will never please me, the pink muhly begins to pop its pink. The wild ageratum can be a thug but this is a good color combination, if subtle. The pink lycoris are sweet, I should have some somewhere in the chaos, but the red spiders are special. 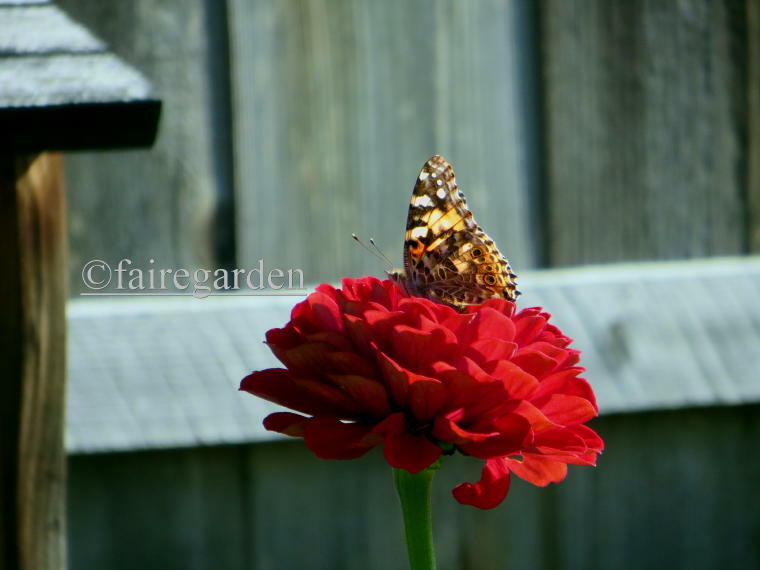 Mine came from Old House Gardens, if you are looking to try again. As for too much stuff, even after jettisoning so much in the move, inside and outside, there is still a whole lot. The right space will be found eventually! Happy fall to you. Beautiful pictures. The red grass is stunning. Thanks! This is the muhly’s time to grab attention. A good lesson for those of us who continue to see the houses, cars etc in our own gardens…Just don’t see them, but gaze on the beauty in the garden. Thank you for reminding me to be in charge of what I think! Thanks, sweet Gail. I admit to seeing the cars, etc. when I am taking photos of the garden. But when out perusing, which is most of the time, I see the plants. They speak to me to draw my attention. 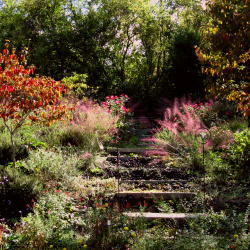 Especially the pink muhly, which signals the end of the flower season is near with bittersweet loveliness. 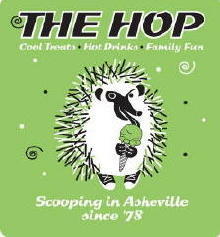 Enjoy your weekend and happy fall! This new garden is absolutely beautiful. I thank you for sharing it. 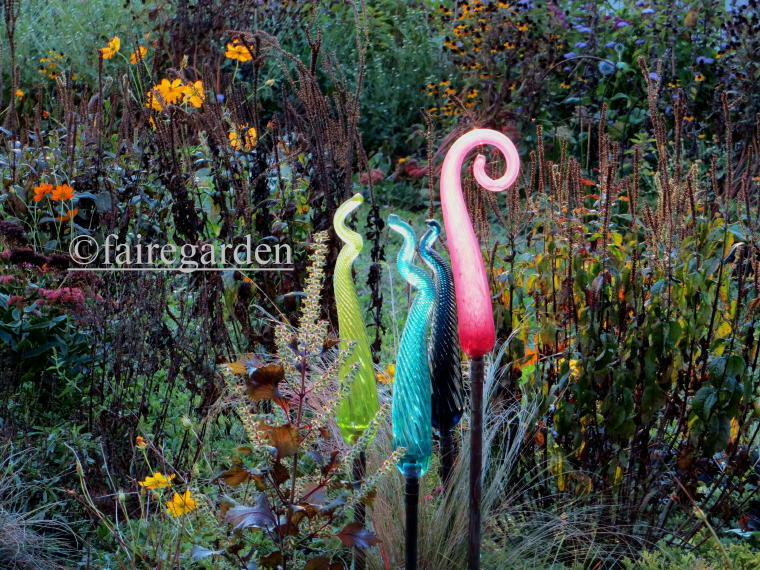 When you post I always see a must have for my own garden….like the spider lily. Lovely! Hi Jane, thanks so much for the kind words. 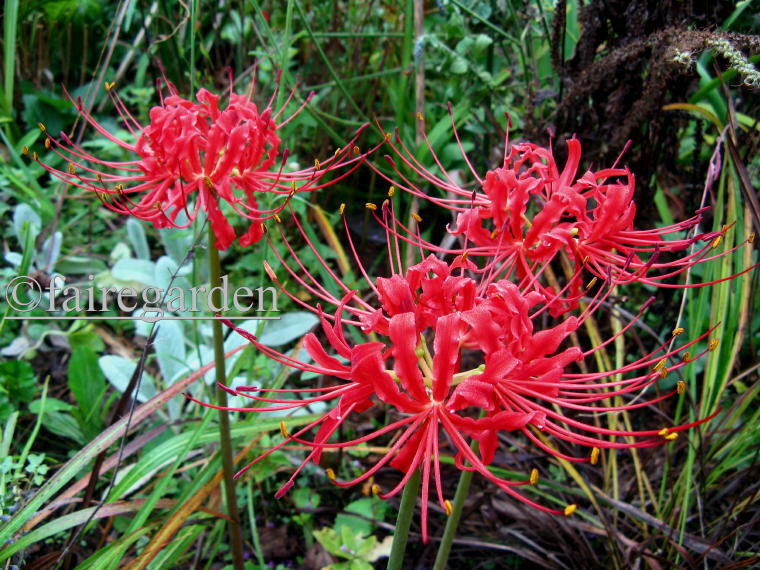 The lycoris came from Old House Gardens, a good source for lots of stuff! Frances, you will always be responsible for my unrequited love of muhly grass. 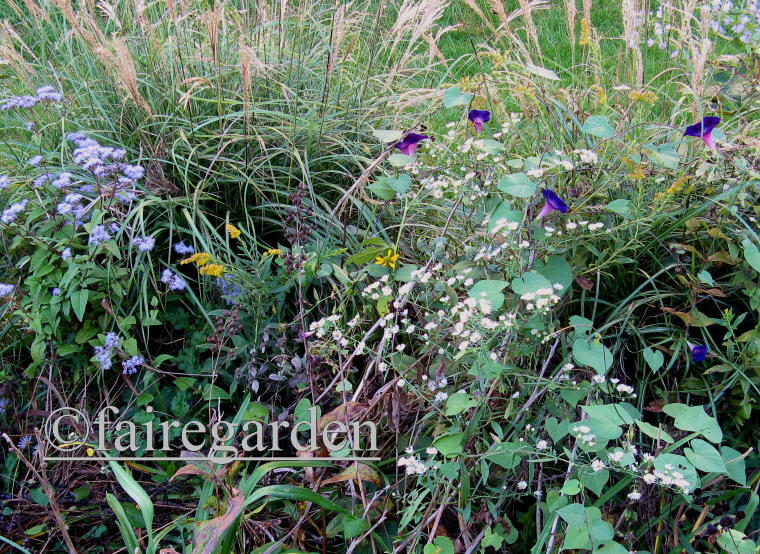 And that beautyberry and ageratum pairing is right behind it. Your garden is magic. 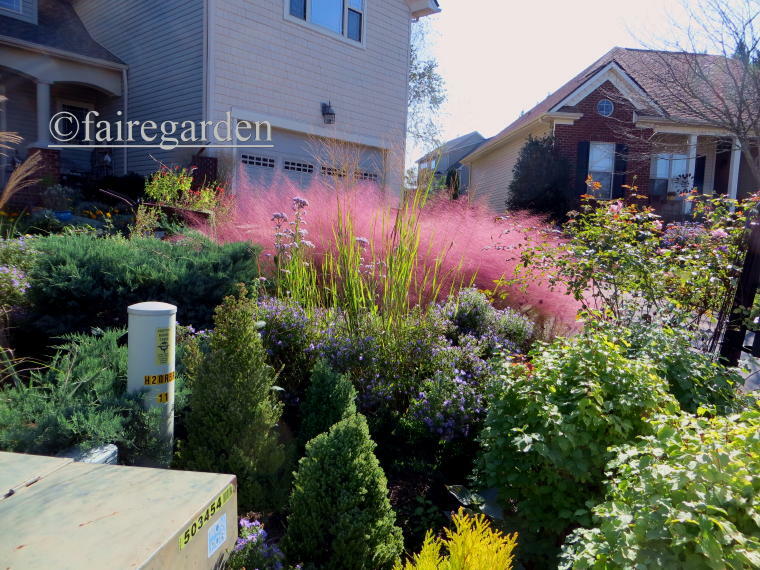 That Muhly display looks like a tutu. Love the mix of color. Good show Faire. Thanks! I love the tutu metaphor, it is very apt and one I hadn’t thought of before when writing so many posts about the muhly. Look for a tutu reference in the future! Thank you for the fall tour and the view of the muhly. As with Helen, you have inspired unrequited love for it in me. Have you considered planting Dichelostemma (Firecracker plant) bulbs in your meadow? They have wand-like flowers of either hot pink or red and bloom in late June for me. Brent and Becky’s has both colors, plus a purple one that I haven’t tried. You need a lot to make a good show. Hi Kathy, thanks for sharing in the love for the muhly. It is very lovable right about now. I have never tried the Dichelostemma before, might try it. So far the bulbs in the meadow are Camassias and Alliums. Daffodils will be added this fall, along with more Alliums since critters eating the bulbs is a problem. I have given up on crocus. Thanks for the rec! This week I was thinking about whether we’d get a muhly post soon and was so happy to see it in my inbox. Add me to the list of people who planted muhly grass because of you. Mine isn’t doing that well but I will persist! Thanks, Terri, for even thinking about a muhly post. I am honored! I hope your muhly comes around, it needs lots of sun and good drainage and takes well to division in late fall or early spring. Timing of planting or moving is crucial, when the soil is cool and moist is best. Good luck! 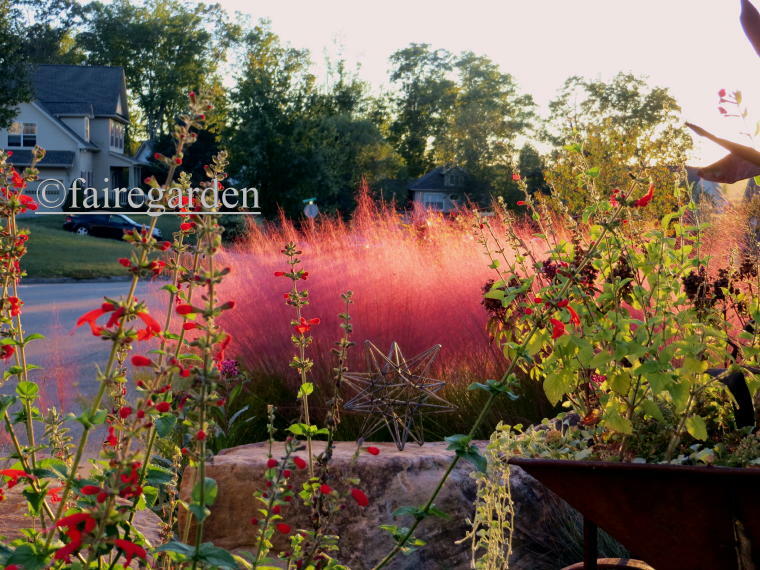 That muhly is breath-taking. I would never notice anything else if that were in my view. Hi Linda, thanks for visiting, nice to see you! The muhly is an attention hog, for certain. I made sure to plant it where it could be appreciated from my chair in the living room, too. Nice to just turn my head and there it is. Ah! I look forward to your Muhly grass post every fall. It’s lovely. 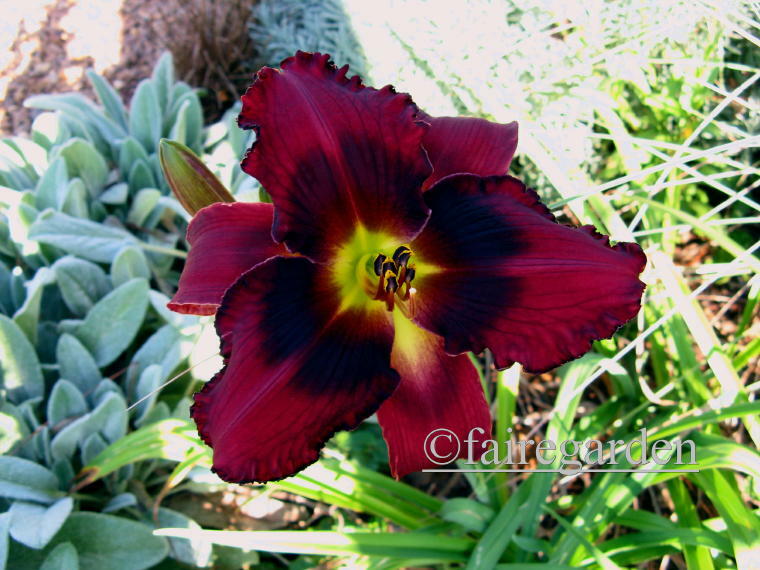 That daylily is a stunner too. I’m going to look for that one. Hi Alison, thanks for dropping by. I am glad the muhly grass is something that you like seeing. It is quite attractive when blooming. Buddy’s Black Jack has not been very vigorous in the past few years in either garden. It was moved last year to the front of the border in a very sunny spot with poor soil. Guess it’s happier there! Yes, it is different, but still it is all good. My beautyberry moved this year. I had two, next to each other. This year one is across the sidewalk and one is further away. I assume the berries seeded and the mother plants are gone. Have your bushes done this? Hi Jill, thanks for the support! I have never had the beauty berries seed or move, but have only ever had one bush in either garden. Lucky you! Nobody takes muhly pictures as breathtakingly beautiful as yours are…the color intensity is mesmerizing. When it comes to capturing that perfect backlit moment, perhaps it’s proof that practice makes perfect. You know your muhly the way a loving mother knows her child.Thanks so much for not forgetting that we need our Fairegarden muhly fix at least once a year! What a sweet thing to say, Michaele, thank you so much! 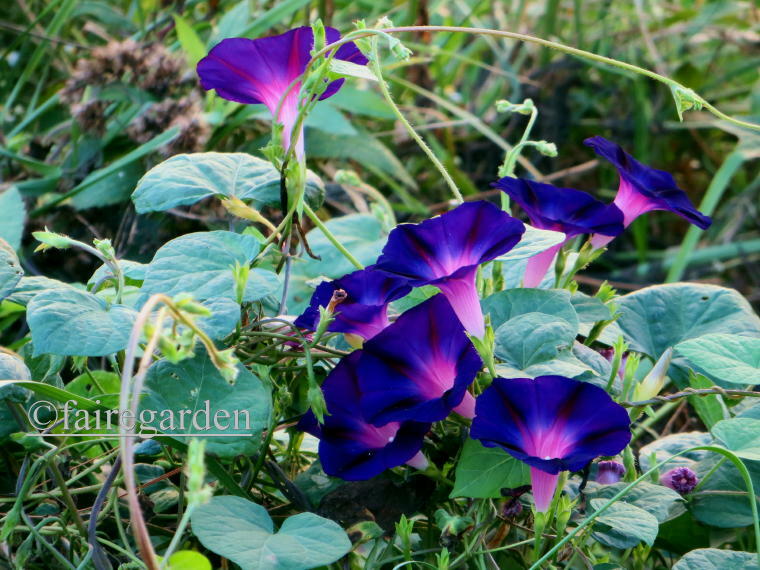 Getting the right lighting is certainly key, as is a mass planting, very close together. The setting is not as dramatic here as at the old garden, but I am a loving mother to all of my plants. That is a perfect way to think of it. Hi Kim, thank you for your loyal readership and welcome to the comment page! All blog writers love to get comments and I am no exception. I hope you soon have a garden of your own to play in, with the perfect conditions to grow what you desire. Gardening is life. Hi Valerie, thank you for the kind words. The muhly deserves the spotlight right now. A treat, as always, to see your post. I am enjoying my own glowing ornamental grasses and only wish I could grow Muhly here in NW Ohio. Your photos are breathtaking. Hi Vicki, thanks for visiting and your kind words. I am glad you have glowing grasses. 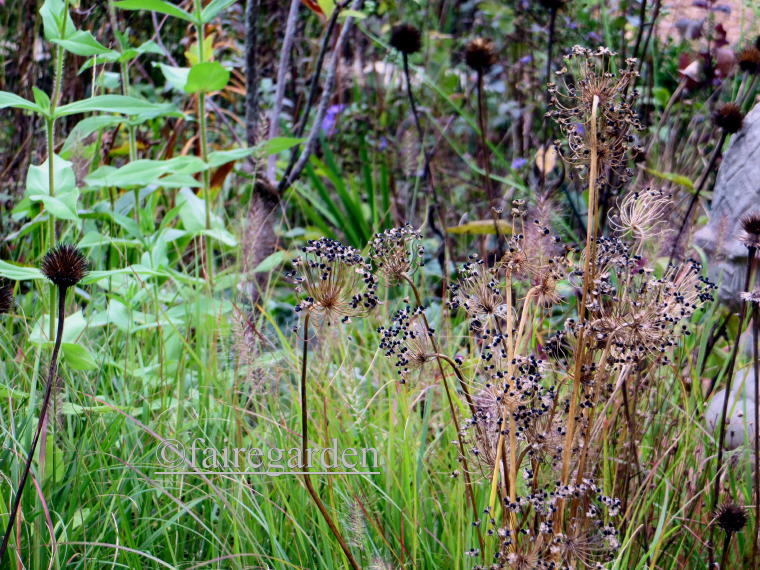 Many ornamental grasses are breathtaking, nothing offers as much movement and light catching. This species happens to be pink, a bonus! Hi Frances! Wow, that Muhly grass! Looks like Harpo Marx was chewing a big Bazooka, made a giant bubble and it exploded all over him! well, that’s the first image i got. Enjoy fall! I was just about to get off the computer and try to do one productive thing today when your blog post title caught my eye. You know I couldn’t leave without seeing the Muhly grass in all its glory! Wow, stunning as always! I appreciate that last photo, too–it seems that all my photos, other than macros, have some sort of distraction in them. But who notices the cars and basketball hoops with a star like the Muhly in the scene! Oops, sorry to distract you! HA Thanks for staying around to view the post. The muhly is looking fine this year, just enough rain but not too much to beat it down. Yet. Seeing imperfection, like a hose on the pathway, when taking pictures of the garden can be annoying, but most folks don’t see that stuff anymore than we do when just out enjoying nature. A good lesson there. I imagine the neighbors must be pleased at this show stopping display. Do they comment to you? I look forward to this post every year!